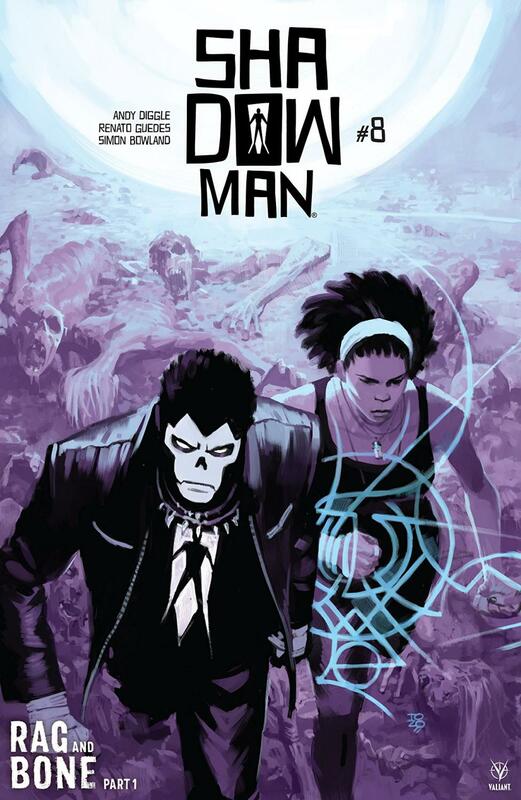 After an exciting seven issues, we begin a new chapter of Shadowman’s fight against evil. This new arc is introduced with a lot of dialogue and a lot of storytelling and it’s all written so well by Andy Diggle. 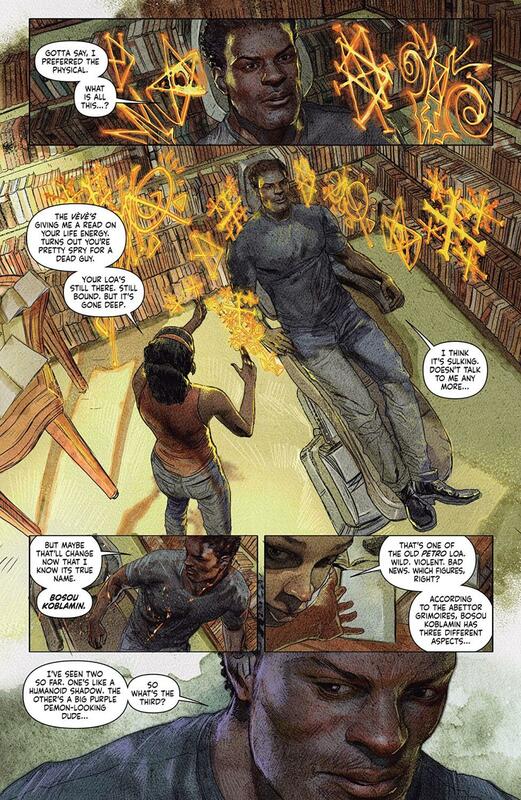 This eighth issue breaks down just what has been going on since the first issue of this new Shadowman series. There has been this constant battle between the brotherhood and the abettors and Shadowman but we have only gotten glimpses of it in the previous issues. I really like this setup especially because while reading the earlier issues, I was curious of the purpose of sliding in details about the brotherhood and the abettors. That style makes reading this issue fun because it feels real and I feel invested. We learn in this issue that we are in for a complicated story going forward, but not complicated in a way that makes it difficult to follow. It is obvious that this series will continue to have twists and connections to other stories which gives it a depth that I enjoy diving into. The heavy dialogue may seem like a chore but it is worth it once you get to the end. All of the information that is introduced here in this issue is necessary for truly understanding this arc as it continues. It is actually quite amazing how Diggle is able to make this entire issue intense simply by creating these scenarios of people speaking. But the fact that this issue is dialogue-heavy doesn’t mean that there isn’t action. The big action scene towards the end was kind of short but it was perfect. Jack and Alyssa’s powers are so interesting and makes any small fighting seem amazing. 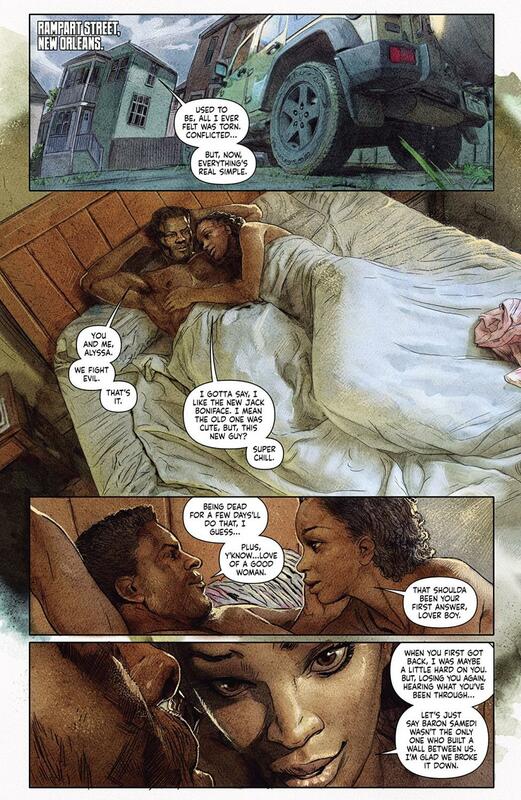 As usual, Renato Guedes' beautiful, haunting artwork sets the issue’s tone as dark and intense. Guedes helps make the issue stressful as we await trouble while tagging along with Jack and Alyssa. He amazingly shows the anxiety in their faces and body language which is felt through the page. He is also able to show their confidence when they are emboldened and use their strengths against evil. As we are introduced to a new arc, we are given a lot to digest and with the help of Diggle’s writing, it goes down easy. This issue has stirred up a lot of excitement in me for the battles that are coming within the next several issues which means that it did it’s job.